This is an amazing service for responsible dog breeders in the Oregon/Washington area and well worth a days time. You can get all/most health testing done for VERY reasonable prices. The times are 9:00am-4pm. 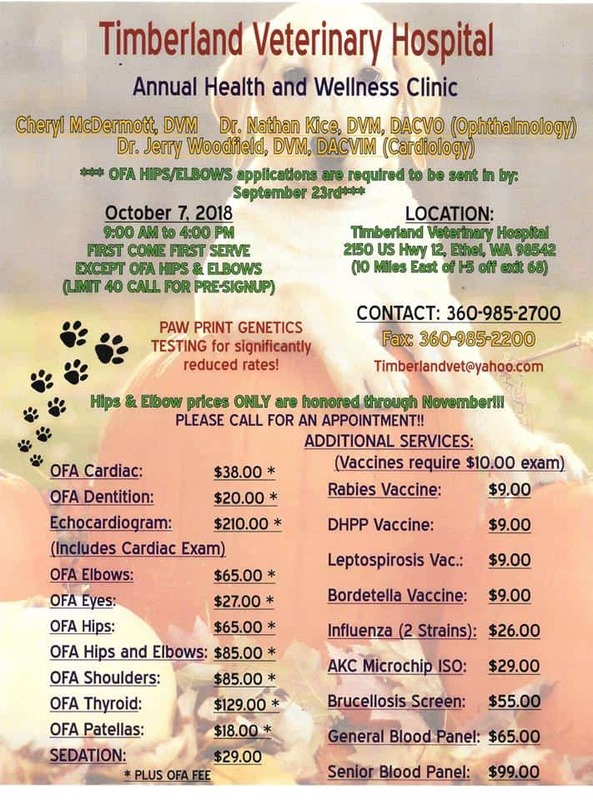 Location is Timberland Vet Hospital, 2150 US Hwy 12, Ethel, WA 98542. Call for more information, 360-985-2700.